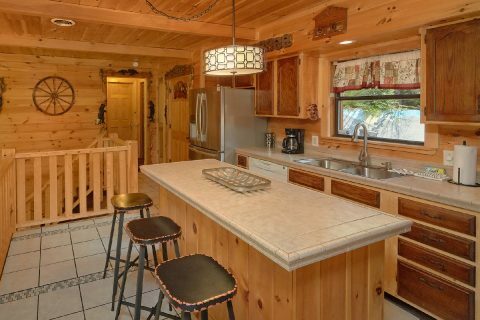 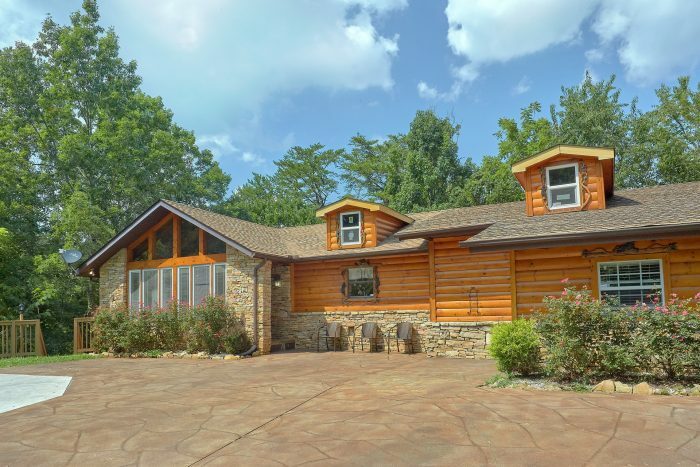 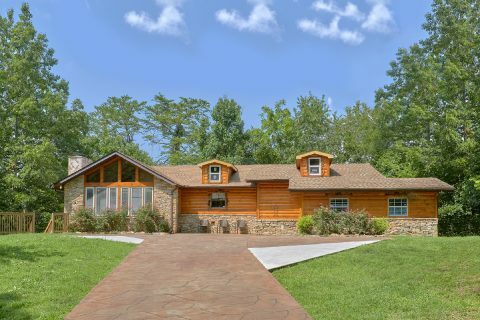 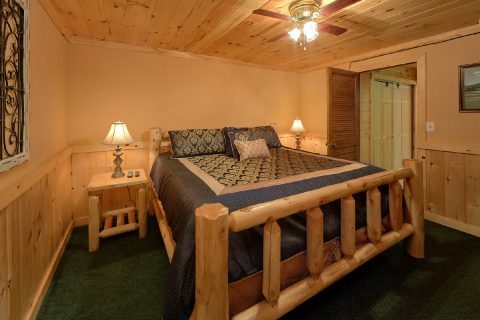 Located only 1 mile from Downtown Pigeon Forge, you'll find "Sweet Mountain" an affordable 4 bedroom cabin with room for up to 13 guests. 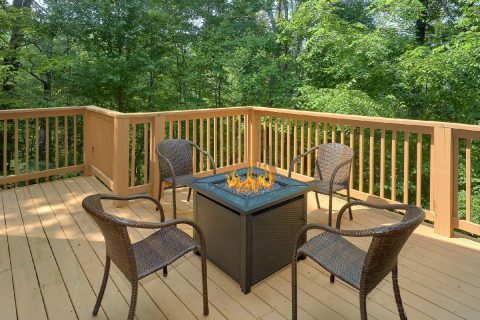 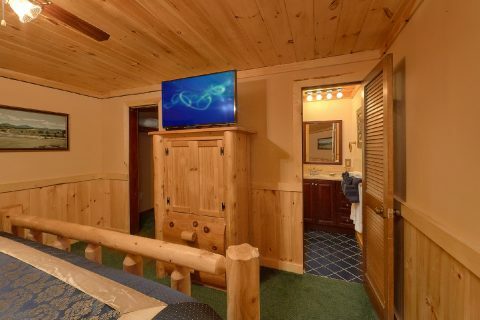 Not only does this rental offer a prime location near top local destinations like Dollywood and the Island, but it also provides you a nice private area for relaxing during your stay. 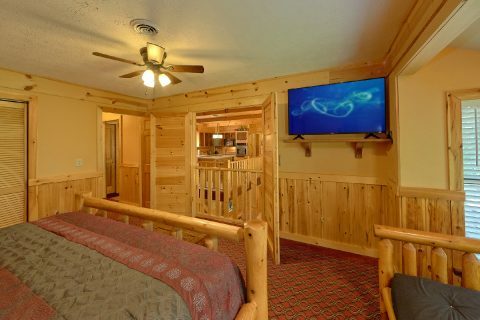 After a great day spent exploring the Great Smoky Mountains National Park or the charms of Downtown Gatlinburg, you'll love returning to this comfortable cabin that's only minutes away from the action. 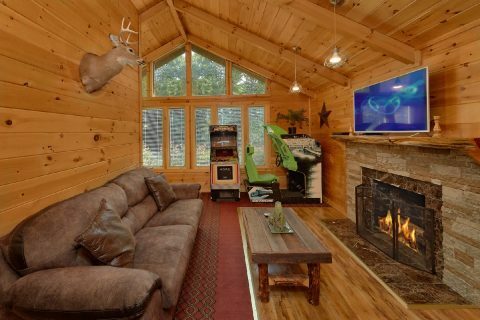 Enter into the main level and you'll find a cozy living room area complete with a wood-burning fireplace and comfortable furnishings. 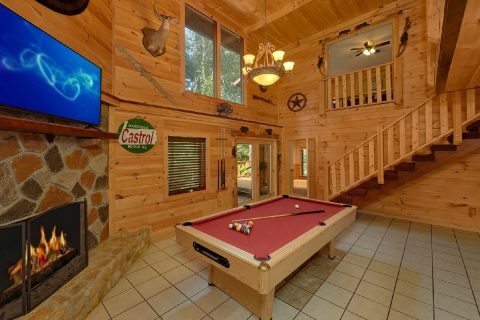 This room also features a foosball table and a sit-down race car arcade game. 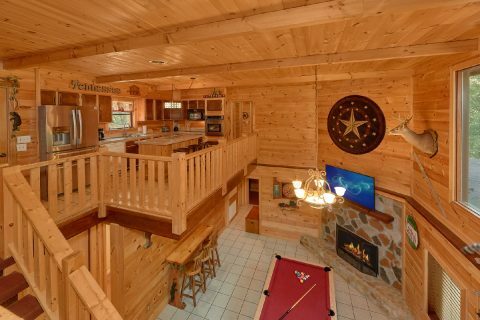 You'll find even more fun in the downstairs game room with a pool table, a dartboard, and a wood-burning fireplace. 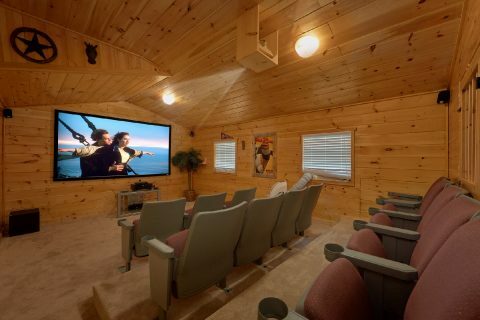 To watch your favorite movies in comfort and style, this cabin even comes complete with a theater room that boasts a projection screen, a DVD player, a surround sound system, and theater seats for 12 people. 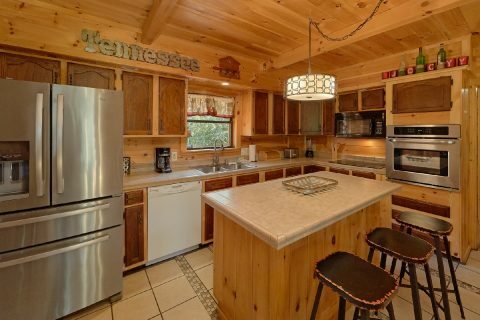 For enjoying delicious meals in your rental, there's a full kitchen and a dining room with a full-sized table. 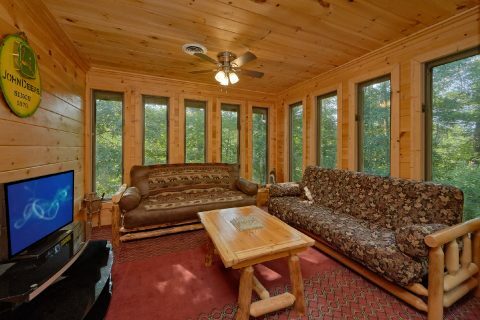 There's even a nearby sunroom sitting area for enjoying a nice cup of coffee in the morning. 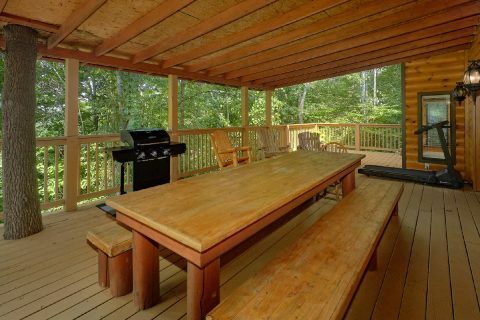 Outside on your cabin's deck, you can enjoy gathering with friends and family by the outdoor dining table and hot tub. 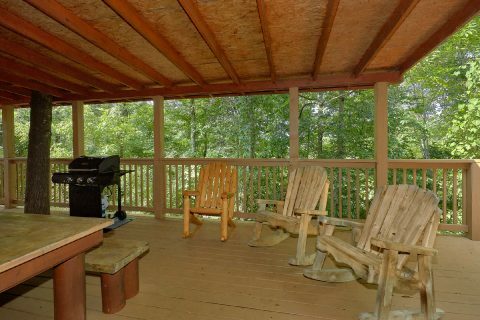 There's even a gas grill for enjoying a fun, summer cookout during your stay. 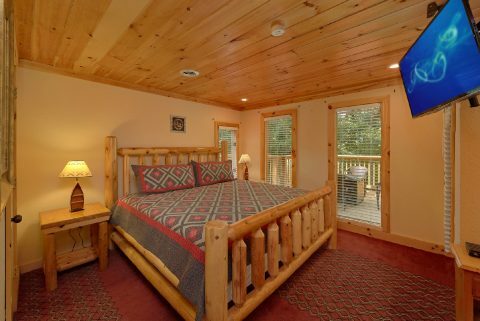 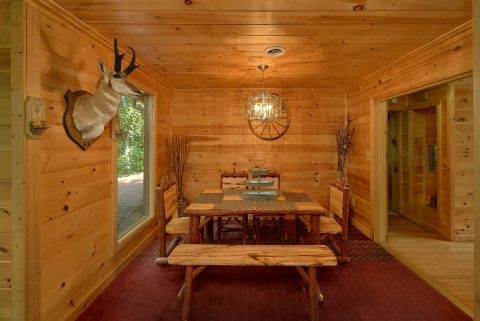 Once it's time to get some rest before your next day of vacation, you can look forward to sleeping in one of this cabin's 4 bedrooms. 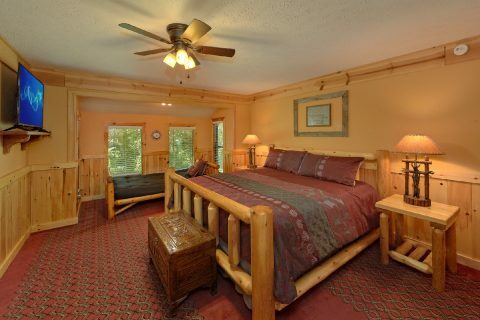 The main floor is home to a king bedroom and the main level living room features a queen-sized sleeper sofa. 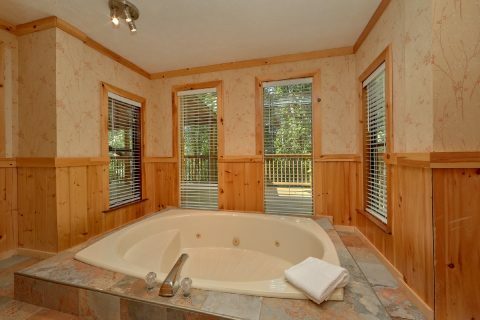 On the lower level, there's a king master suite with a private bathroom and a jacuzzi tub in a sunroom. 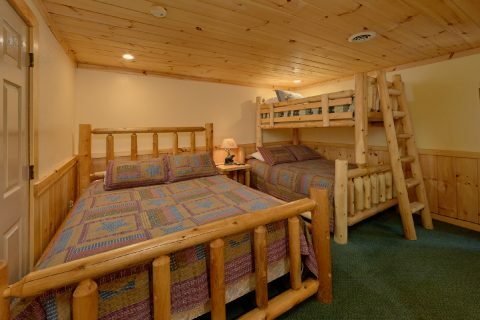 Lastly, there's another king-size bedroom and another bedroom with a queen bed and a twin-over-a-queen bunk bed. 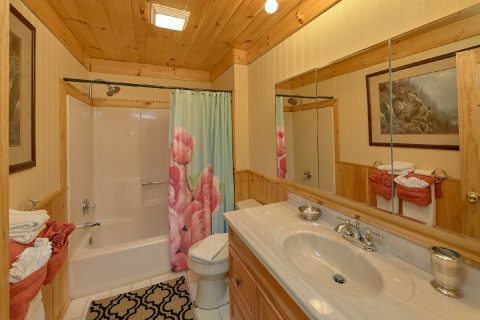 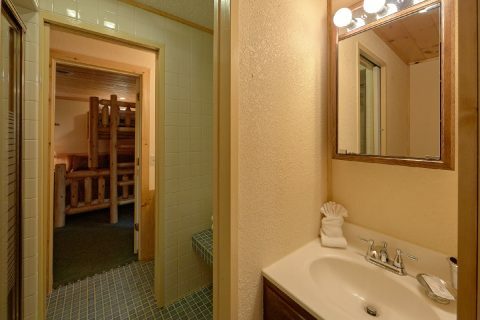 These two rooms share a Jack & Jill bathroom. 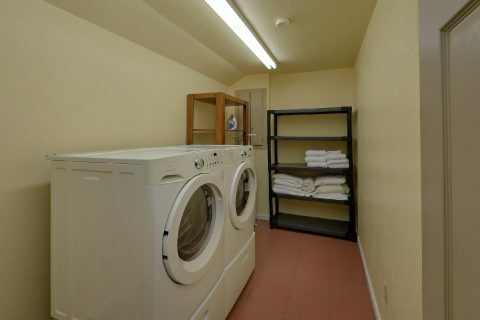 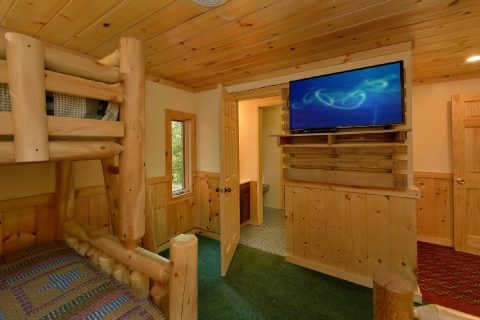 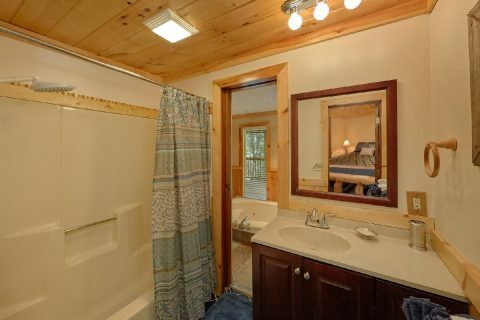 Lastly, this cabin even provides guests with access to Netflix, WiFi Internet, and a Washer/Dryer. 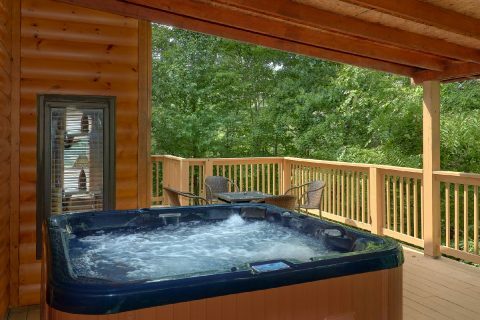 Book "Sweet Mountain" today with Cabins USA Gatlinburg to start planning an unforgettable trip to the Smoky Mountains of Tennessee!